In this release we feature library fundraising, OpenMedia, Our Digital World, BiblioTECH, Lauren Hummel, and the June issue of InsideOCULA. Bookstore fundraising events for school libraries are common events. In Big Bookstore School Library Fundraisers Peggy Lunn critiques this practice and offers some practical suggestions to avoid some of the unforeseen consequences. OpenMedia.ca is at the forefront of campaigns regarding privacy, copyright, and affordable telecommunications. In the latest Policy Wonk column, Todd Kyle interviews David Christopher from OpenMedia and asks OpenMedia: Why Should Librarians Care? And one of the most significant answers is Bill C-51. Digital stewardship is critical and complex. In The Interview Susanna Galbraith talks with Loren Fantin and Jess Posgate from Our Digital World, a not for profit providing tools and services to support digital collections and online discovery. John Palfrey’s recent monograph BiblioTECH: Why Libraries Matter More Than Ever in the Age of Google has been getting lots of attention. In this latest instalment of the Keeping Current column, Mike Ridley reviews the book …. and is disappointed. Getting to know the staff and programs of the Ontario Library Association is the purpose of the OLA Staff Room column. In this issue we meet Lauren Hummel, OLA’s Event Marketing and Communications Coordinator. Find out why trees, mountains, more trees, and ice matter to Lauren. And finally, this release of Open Shelf includes InsideOCULA for June 2015. 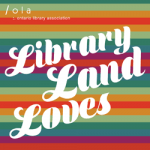 The newsletter of the Ontario College and University Libraries Association includes stories about research data, library education, storytelling, and Shanna Pearson (OCULA President).